Indulge in ultimate glamour with our Hotel Luxury Collection Cushions. 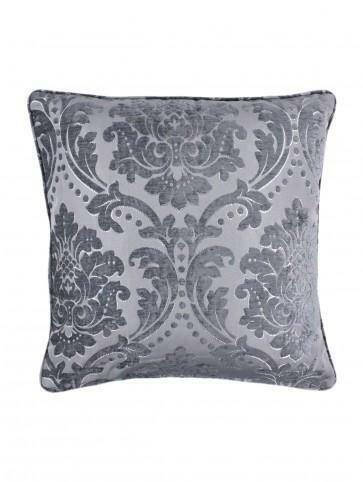 The Hotel Collection Valencia Cushion features a stunning raised damask design in a shimmering chenille jacquard, creating a genuinely luxurious look. Our Hotel Cushions scream luxury at every angle and this is no exception. These stunning silver tones allow for a bold design statement that lends itself to a variety of room schemes. If Hotel Luxury is your thing, shop the rest of the collection and pair up with some equally stunning bed linen and curtains. This Cushion is feather filled.